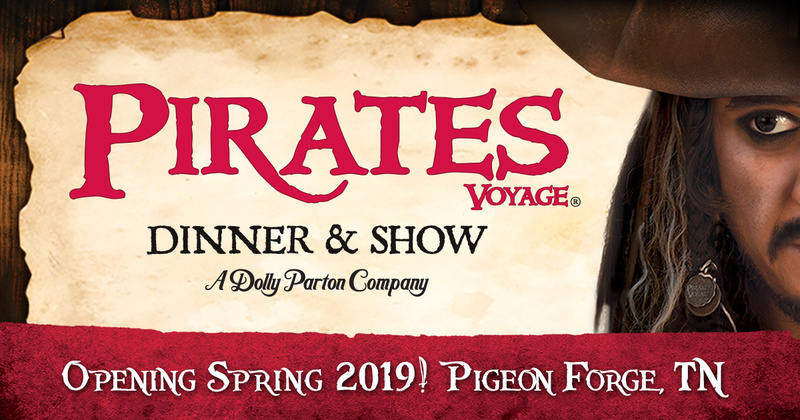 After 18 successful seasons of her Dixie Stampede in Myrtle Beach, SC, Dolly and her creative team set out on a swashbuckling adventure to transform the entire property into a pirate-themed experience called Pirates Voyage Dinner & Show. 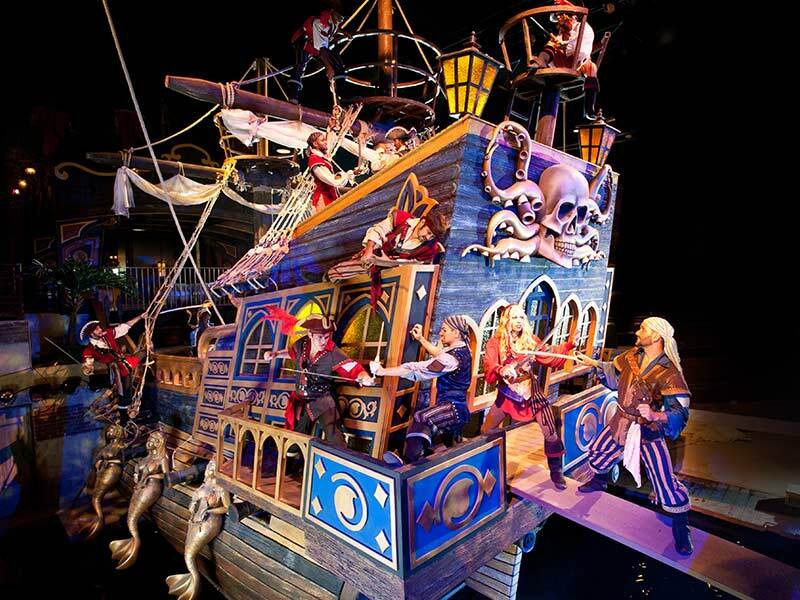 The show is based on the spirit of Blackbeard and his buccaneers sailing the coast of the Carolinas with the Crimson and Sapphire pirate crews battling for the bounty on two full size pirates ships docked in a 15ft deep indoor lagoon! In addition to starring in the show as a mermaid, Dolly also collaborated with Mark Bryner to write the musical score! 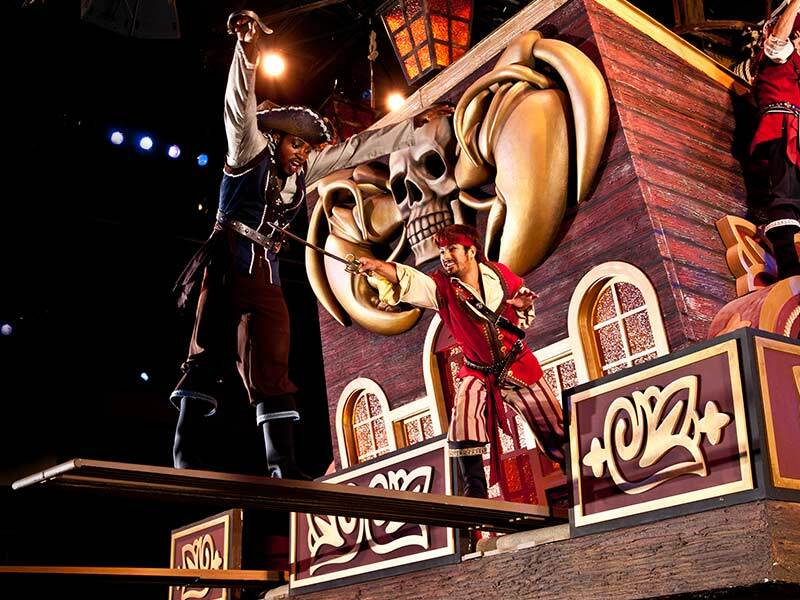 Today, Pirates Voyages Dinner & Show remains a huge hit for Dolly and team. 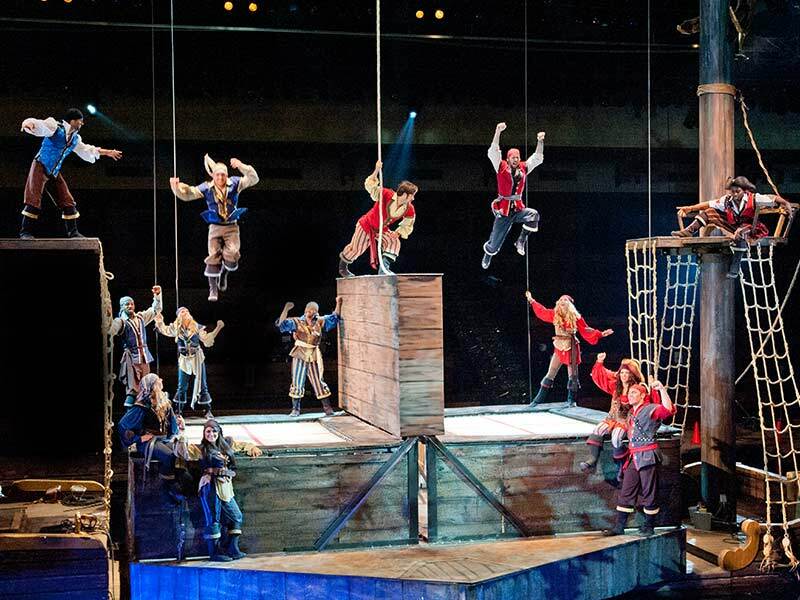 With amazing new acrobatic competition, sea lions and a Pirate-themed Christmas show, it’s no wonder Pirates Voyage Dinner & Show is rated the #1 show in Myrtle Beach, SC! 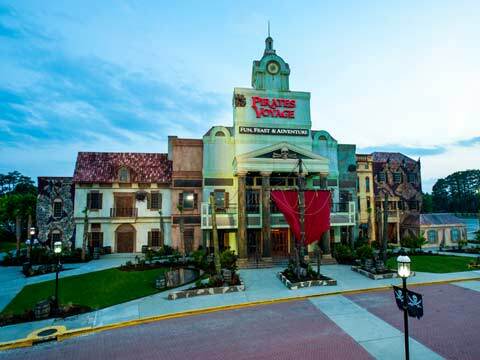 Pirates Voyage coming to Pigeon Forge, TN, Spring 2019!